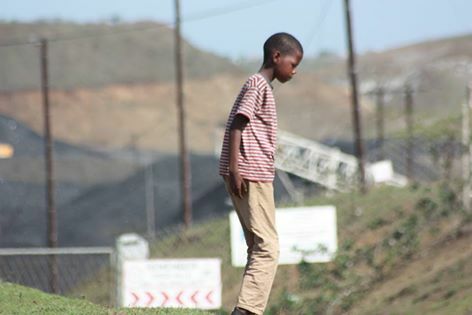 THERE is renewed hope of a lifestyle change for communities living around Somkhele mine, and those to be affected by Ibutho Coal’s proposed Fuleni mine, after the Human Rights Commission (HRC) held meetings with the communities earlier this week. ‘The meeting was very positive, in that we now know we can lodge official complaints with the commission, not only about the mine, but about any individual or entity that we feel does not have the community’s best interests at heart,’ said Mpukunyoni Community Property Association (MCPA) Chairman Bongani Pearce. About 200 Mpukunyoni community members attended Tuesday’s meeting in Somkhele, and all took away complaint forms. ‘They explained the complaints procedure and said they could investigate any complaints that we lodge,’ said Pearce. The HRC is holding public meetings around the country with communities affected by coal mines, with the purpose of gathering information about how human rights are being violated. The commission is particularly interested in instances where government departments are failing to protect the rights of affected communities. Fuleni and Somkhele were selected with the purpose of assembling relevant information to build a strong report on the issue. Anti-mining activism has been rife in both Fuleni and Somkhele, with anti- and pro-mining groups clashing and meetings and marches threatening to turn violent. Seen as a troublemaker, Pearce was assaulted at a recent community meeting and says other MCPA members’ safety could be at risk. Other complaints by community members are cracks to houses from blasting activities and excessive coal dust pollution affecting the health of both community members and their cattle.